Chronic or persistent pain occurs when pain remains even when the injury that caused the pain in the first place has healed. Although tissue damage causes acute pain, chronic pain has less to do with tissue damage and more to do with the sensitivity of the nervous system. Research shows that exercise may be able to treat chronic pain effectively. For a person with chronic pain, exercise might be the last thing on their mind. Chronic pain patients are at an increased risk of becoming less able to perform daily activities due to inactivity, such as walking, keeping up with household work, and even personal care. 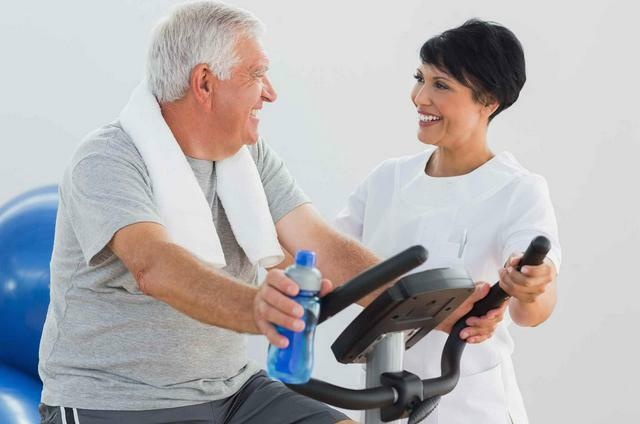 Exercise can be a primary form of treatment that gives control back to a chronic pain patient’s daily life. Several studies show that exercise prevents deconditioning, which may cause pain to become worse over time. Deconditioning causes muscles to become weaker and makes it harder for the patient to move around without pain. Remember that exercise can be a form of medicine and should be treated as such. Daily exercise is just as important as taking daily medications. When exercising with chronic pain, be sure to warm up properly to avoid an injury. Perform stretches at the end of your training session, not at the beginning as your muscles will be cold. Do short bursts of exercise at first and then gradually increase the amount of time you spend exercising. Start slowly and use the 0-10 scale to monitor your pain levels while exercising. If pain increases while exercising, stop and take a rest or pick it up again the next day.